Be good to yourself and let this heavenly blend work its magic on body, mind and spirit. This is truly a special, warm, joyful aroma. 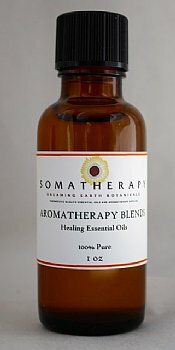 Add to our Massage Base for a soothing massage, add a few drops to a warm bath or use in one of our Aromatherapy Diffusers. A few drops added to your favorite unscented lotion is heavenly, and makes for much appreciated gifts. A blend of 100% pure Essential Oils: Bergamot, Geranium, Jasmine absolute, Petitgrain, Rose Otto, Ho Wood, Sandalwood and Ylang Ylang.